Russian national sentenced to 2.5 years in prison for hijacking | Russian Legal Information Agency (RAPSI). MOSCOW, April 16 (RAPSI) – A court in Russia’s Murmansk Region has sentenced a resident of Apatity to 2.5 years in a penal colony for hijacking of a tracked vehicle and attempted theft, the local prosecutor’s office has stated. 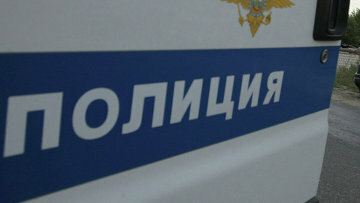 According to prosecutors, on January 4, the defendant hijacked a KAMAZ heavy truck located in Apatity and was driving around until his apprehension. On January 10, the defendant visited a local proving ground belonging to a driving school where he unlawfully entered a MT-LBV tracked vehicle and hijacked it, prosecutors noted. While driving around the city’s streets he collided with a shop’s showcase breaking it. Then the defendant entered the establishment and tried to steal alcohol but was arrested by police. The defendant admitted guilt in full. 10:59 16/04/2018 A court in Russia’s Murmansk Region has sentenced a resident of Apatity to 2.5 years in a penal colony for hijacking of a tracked vehicle and attempted theft.